Illustrates Bending And Stretching Movements Of The Spine. 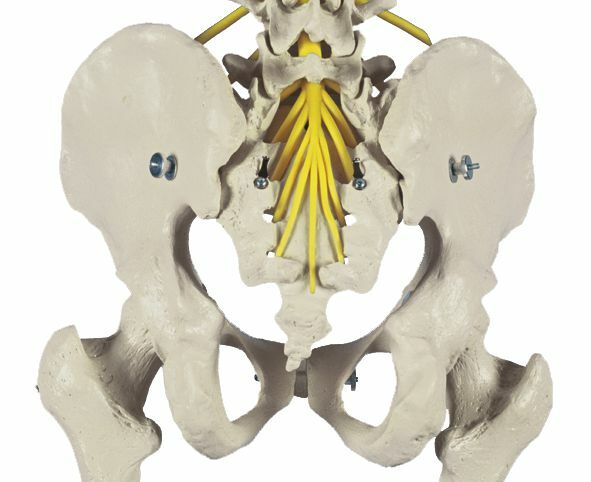 This model is a replica of human spinal movement. 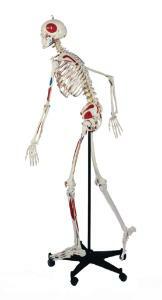 It illustrates the most natural imitation of actual human movement. Special U-brackets have been added to allow the arm and leg ligaments to slide inside the joints of this realistic skeleton. 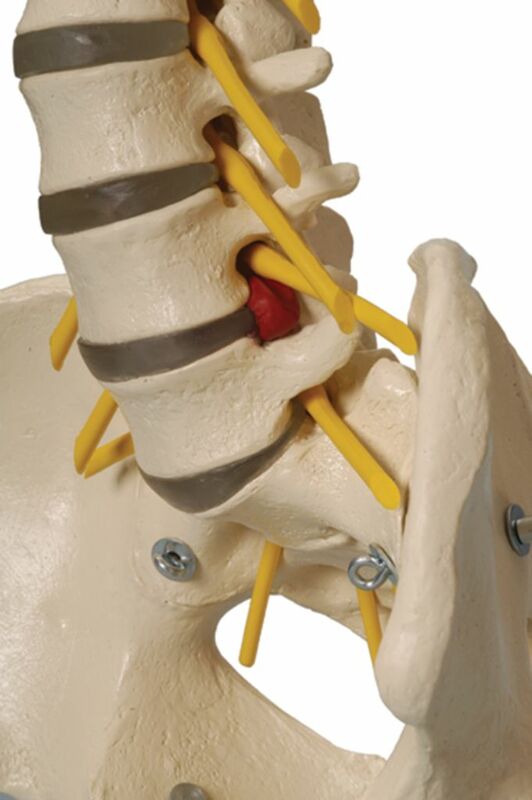 A flexible spine also allows you to manipulate the thorax to simulate breathing technics. Spine is supplied with spinal cord, nerve ends, arteries, sectioned sacrum, and a herniated disc between fourth and fifth lumbar vertebrae. 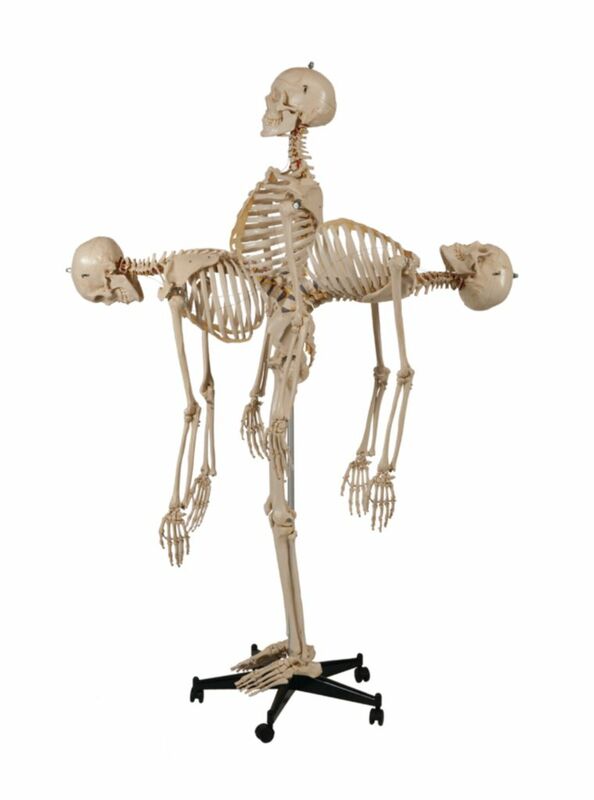 For easy transportation or individual examination, the arms, legs, and skull are removable in addition to a dissectible mandible and maxillae with removable teeth and with hyoid bone and sectioned calvarium. Skeletons are rod mounted on a stand with casters. 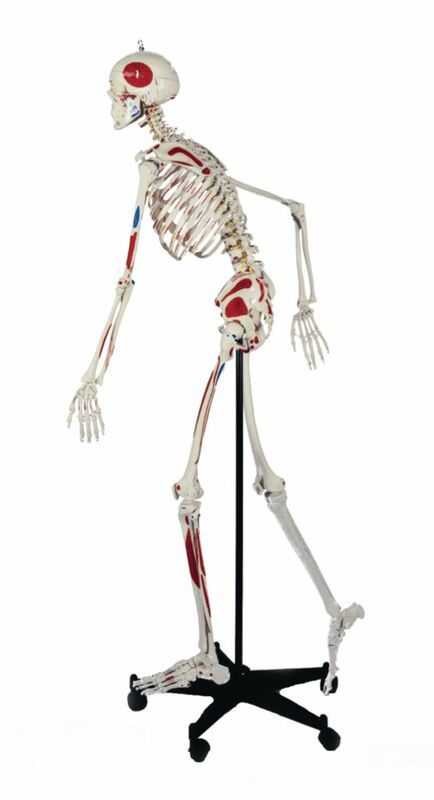 In the painted version only, bones of left side are accurately colored with red for the muscle origins and blue for the muscle insertions. Muscles are also numbered according to a supplied key. 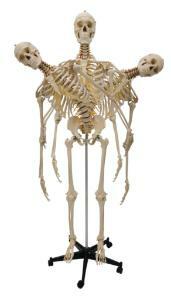 Both skeletons include a dust cover.